Global winds of change are sweeping through the corridors of India’s Ministry of External Affairs and the Indian Foreign Service, opening up the process of foreign policy delivery. Jawaharlal Nehru Bhavan is the new home of India’s Ministry of External Affairs. The red sandstone structure with a built-up area of nearly 60,000 square meters is state-of-the-art and has many green features. It is the first government building that is compliant with the country’s 2007 Energy Conservation Building Code and is LEED-certified. In New Delhi, the Ministry of External Affairs and the Indian Foreign Service have long been seen as silos, sometimes criticized at home as aloof and elitist. Yet peers view the IFS as among the best diplomatic services. Foreign embassies in New Delhi sometimes find MEA exasperating. How does one explain such paradoxes? Global winds of change now sweep through the corridors of South Block—and Jawahar Bhavan, the new second home of MEA—in effect opening up the process of foreign policy delivery. This is the result of several elements: complexity and new issues in international dialogue; a larger role played by both the head of government and by functional ministries; the expanded activities of non-state actors; the ubiquity of electronic and social media; as well as increased volatility of foreign affairs. The same change is transforming diplomacy the world over, forcing foreign ministries to scramble in response. In this “holistic” approach, the IFS is responsible for all political, economic, public affairs and consular work, though some embassy jobs go to officials from outside the IFS (that number is now set to increase, as we see below). In my view, this leads to efficient handling of political, economic and other branches of external work, giving IFS personnel broad skill sets that help when they rise to head embassies. It also leads me to conclude that integrated diplomatic services are more effective than those that separate political, commercial and public affairs work. However, no comparative study exists in support of this contention, perhaps because there are too many variables involved. The main characteristics of the IFS juxtapose strengths and weaknesses, much like the glass of water that can be seen as both half-full and half-empty. First and foremost, the IFS is miniscule, both in comparison with other major players and in terms of its functional responsibilities. Despite slow expansion since 2007 (when it numbered 650), the “A Branch” (executive level, third secretary and higher) stands at just 850. At the current rate, it may take another 10 years to reach the announced goal of 1,300. Small also equates with nimble; it helps Indian diplomacy to punch far above its weight. This is much below the Brazilian diplomatic service, even though the latter contends with a smaller number of overseas posts. But looking more closely, the situation is not so dismal; we should factor in the 250 Grade I officials of the “B Branch” of the IFS, since they hold diplomatic rank (as first or second secretaries). Include also the 30-odd interpreters and about 25 of the legal and treaties cadre, who mainly work as desk officers and as first and second secretaries in embassies, and the total strength of the Indian diplomatic corps rises to about 1,200. But this is still a tiny cadre to staff 121 embassies, five permanent missions and 53 consulates, as well as MEA. At the core, manpower is a major issue, but there is an important flip side to the manpower shortage: most Indian embassies have ample room for local initiative. Enterprising officials, not afraid to take calculated risk in the advancement of bilateral relations, can undertake local actions without New Delhi peering over their shoulders. Ergo, small also equates with nimble; it helps Indian diplomacy to punch far above its weight. To bolster its capacity, MEA now accepts officials from other government agencies, as subject experts (e.g., in disarmament or aid management) and as providers of administrative services. Plans to induct officials from Commerce and other ministries to work in embassies are now moving forward, overcoming some resistance from the IFS. But many MEA officials continue to refuse deployment to other ministries, even though such assignments are essential both to widen their skills, and to improve inter-ministry relations. MEA faces another peculiar capacity problem, a legacy issue that has now become acute in this age of fast-paced diplomacy. At its apex, the ministry is headed by at least four civil servants of the highest rank (“secretary to the government”); but the foreign secretary, their equal and yet the uncontested leader, bears an impossible burden. As “head of the IFS cadre,” this official must combine four major roles: principal of the foreign policy apparatus; administrative head of the IFS; direct supervisor of relations with a dozen or more key partner countries; and the adviser who accompanies the prime minister and external affairs minister to regional and global summits and major bilaterals. In contrast, though heading sizable MEA divisions, the other secretaries are relatively underworked. Further, many foreign diplomats in New Delhi find it difficult to meet their MEA counterparts; they feel that the ministry’s overriding preoccupation is with Pakistan, China or the United States. Mindful of this, it now conducts monthly briefings for foreign embassies on key issues, led by the foreign secretary or another secretary and typically attended by 100 or more, to present the Indian view on key issues. Indian ambassadorial appointments are almost exclusively from the Indian Foreign Service cadre. As in every country, crafting domestic consensus on foreign policy issues has become hugely important for New Delhi. This entails sustained dialogue with official partners, be it in relation to foreign trade agreements or World Trade Organization issues, or on energy policy, or development aid projects in neighboring countries that must link with home regions. On some issues the prime minister’s office is an ally in this coordination task, but MEA has to work on its own and reach out to the relevant ministries. The foreign secretary is the only one with the needed clout to engage the economic ministries and other official stakeholders in such domestic diplomacy along multiple tracks. Toward that end, MEA recently held its first-ever meeting with the chief secretaries (heads of administration) of all 28 Indian states, to bring them into the foreign policy process—particularly in regard to regional and neighborhood issues. New thinking is needed to bring Indian states into the foreign policy process, while reaffirming the exclusive role of the central government in the delivery of the country’s foreign policy, as the Indian Constitution mandates. Beyond turf issues and contestation with other ministries lies the elusive goal of a “whole of government” policy. No less crucial is outreach in the form of regular, structured dialogue with domestic non-state entities such as academia, business, media, science and technology agencies, and think-tanks—all key stakeholders in what is now being called the “national diplomatic system.” MEA has no unit to oversee this as a continual task, though domestic public diplomacy has been pursued actively since 2010, with some success. The recent visa imbroglio involving Devyani Khobragade, deputy consul general in New York, showed that domestic support for MEA remains brittle, however. Human resource management has undergone needed transformation, but still faces challenges. An equitable bidding system for overseas assignments is now in place and works well—volunteers are available for the tough posts, such as Baghdad or Kabul, without any rotation diktat. When it comes to promotions, however, MEA (like the rest of the Indian civil service) emphasizes seniority over selectivity out of deep distrust of how the merit principle might work. Selection to senior grades takes place on the basis of the official’s year of entry. But within each “batch,” or cohort, greater selectivity is now the norm, partly as a natural consequence of growth. On only two occasions (in 2005 and 2007) the foreign secretary was appointed via “deep selection,” bypassing an entire batch and choosing a person from the following year’s list. That led to court appeals and a few resignations. Subsequent appointments have reverted to selecting the most competent officers, but strictly from the senior-most batch. Contrast this with the method in most other major diplomatic services, where appointment to high rank is decoupled from length of service, and is contingent on performance. Japan’s service shares India’s attachment to seniority. Indian ambassadorial appointments are almost exclusively from the Indian Foreign Service cadre. Even the few “political” nominees are drawn mainly from among retired officials, whether IFS or the armed services. Still, the distribution of senior (equivalent to secretary or additional secretary) ambassadors does not quite match the relative importance of foreign capitals, as seen from New Delhi. We find senior ambassadors at locations of obvious importance, be it London, Moscow, Paris or Washington, D.C., but once in a while, Beijing, Berlin, Colombo, Dhaka or Islamabad receives a specially chosen Grade II ambassador. We also find some Grade I diplomats heading consulates in the United States or second tier embassies; conversely, MEA sends those who are competent to other key locations, even if they happen to be in Grade II or III. Further, a few young officers with barely 15 years of service are now appointed as ambassadors. In a situation where even the best cannot get “fast track” promotions, this indirectly restores equity. IFS morale is relatively high overall, helped by new practices such as annual conferences of ambassadors. But no system of grievance redress, much less a dissent mechanism, exists. As for professional recognition, in 2012 the family of the outstanding diplomat, S.K. Singh, put forward an annual “diplomat of the year” award, wisely conferred on young or mid-level officials. MEA has implemented incremental reform, but now needs action across a broad front to derive full potential from latent strengths. To that end, it recently invited young officers to come up with ideas, and is now studying their reports. This is the same method that the United Kingdom and Germany successfully used some 10 to 15 years ago, on the premise that it is the “youngsters” in the Service who have both the biggest stake in reform and the freshest thinking to offer. Happily, MEA has never adopted such buzzwords of corporate management as “balanced score-cards,” “key performance indicators” and “performance contracts,” which unfortunately blight some diplomatic services in developing countries like Botswana, Kenya, Malaysia and Tunisia. But it does need to set up permanent machinery for inspections of embassies and rigorously enforce procedures, whether they involve development of “annual plans” by missions or ‘“handing over notes”’ by ambassadors at the end of their term. As in every country, crafting domestic consensus on foreign policy issues has become hugely important for New Delhi. Under MEA’s “Development Partnership Administration” process (an umbrella unit established in 2012 to implement an expanded aid program that now takes India’s external aid contribution to around 0.2 percent of gross domestic product), embassies also manage aid and have responded well to the new responsibilities. 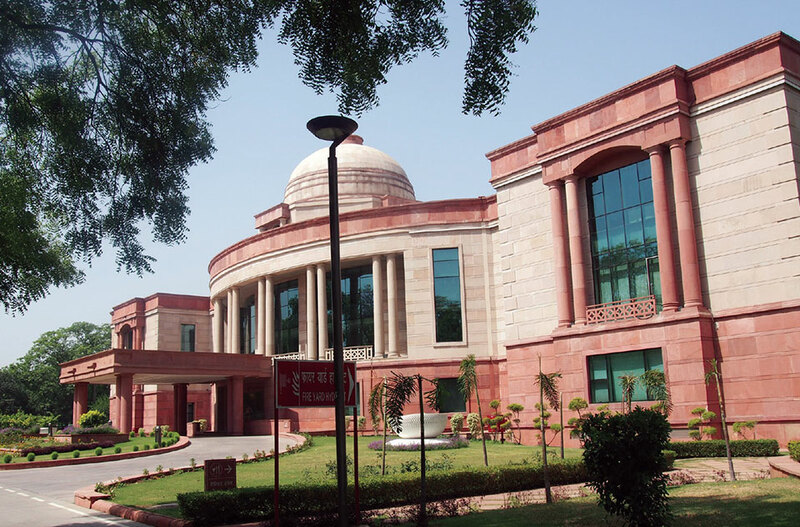 Training processes at the Indian Foreign Service Institute have expanded and improved, driven by reform across the entire civil service—especially a decision that all officials must attend special courses before they cross career milestones. But more focused training for the IFS is still needed to strengthen professional competence; and this requires MEA to develop its own course materials, simulations and scenarios. At heart this involves MEA closely managing its Foreign Service Institute, tuning management of the FSI more closely to the ministry’s functional needs. Language training also needs to be strengthened to develop specialized skills in such languages such as Arabic and Russian, to match the interpreter-level expertise that has been developed in recent years in Chinese. Retired officials are given to nostalgia and easy prognostication on what they often see as declining standards in the institution where they had worked. I was closely involved with training IFS recruits from 1996 to 2008, and saw in the new entrants greater diversity in terms of the disciplines studied at university, regions represented and family backgrounds than ever before. Those who have not studied at English-medium universities start their careers with a significant drawback. But the Foreign Service Institute addresses this gap with special English courses. This also needs strong professional focus so that at conference drafting groups and in negotiations, all officials have fluent English-language mastery. While greater diversity is a trend in most diplomatic services, in India, expanded affirmative reservations in favor of the underprivileged seemingly lead to varying standards within each cohort. But through their performance, most young officials have shown themselves to be highly competent and dedicated. In the two decades since I retired, this impression has been reinforced during visits to Indian embassies in different countries, where I encounter confident young officials who are articulate and have mastery of their dossiers. The current generation is equal to the best. Going forward, however, the IFS clearly needs more manpower and a more systematic approach to administration (in place of the tendency toward ad hoc-ism), as well as greater enforcement of accountability, better institutional capacity and improved home connections, including domestic public diplomacy and strong leadership. In Asia and in almost all the developing world, exchanges do not take place among diplomatic services as they do, for example, within the European Union and in a wide cluster of Western countries through an annual process initiated by Canada a decade ago. Nor do we find any bilateral or regional dialogue among foreign ministries of developing countries on professional issues, be it in Africa, Asia or Latin America. Such conversations have obvious value, since foreign ministries confront similar circumstances in dealing with the international system. Kishan S. Rana was a member of the Indian Foreign Service from 1960 to 1995, serving as ambassador to Algeria, Czechoslovakia, Kenya, Mauritius and Germany. He was also joint secretary in Prime Minister Indira Gandhi’s office from 1981 to 1982, and later headed personnel administration in the Ministry of External Affairs. Ambassador Rana now teaches, writes and advises other governments on diplomatic practice. 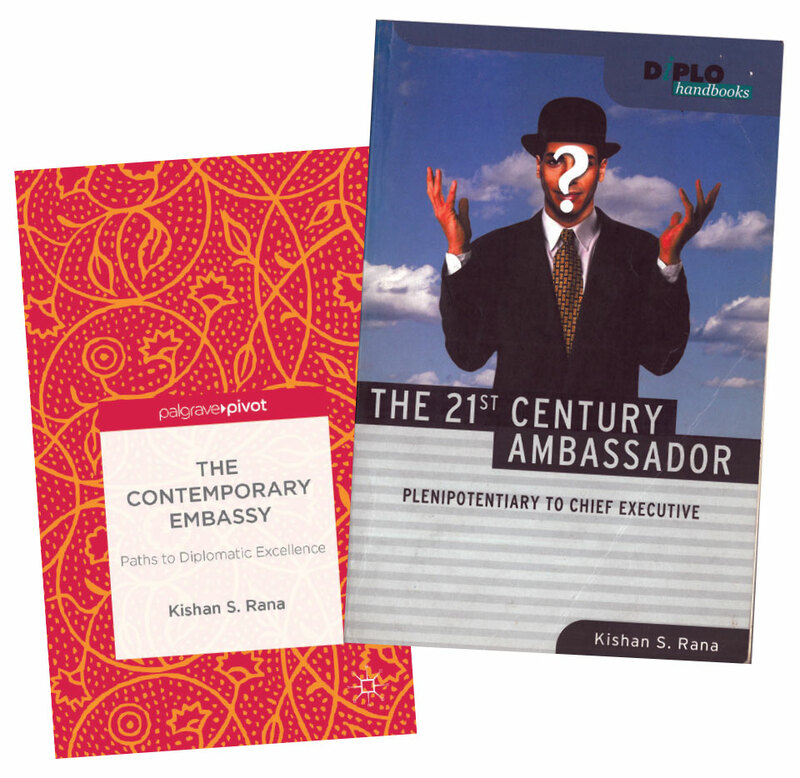 He is the author of 21st Century Diplomacy: A Practitioner’s Guide (Bloomsbury Academic, 2011) and The Contemporary Embassy: Paths to Diplomatic Success (Palgrave Macmillan, 2013).